LG is hitting the market with its new 55-inch EC9300 OLED television, and while it’s not exactly a budget television, it does show the price for this display technology is finally dropping. LG announced over the weekend the the 55EC9300 is finally available for pre-order through Best Buy and will be hitting the big box retailer first. The company used Best Buy to last year to launch its first curved OLED television set at a limited number of locations with the jaw dropping suggested retail price of $14,999. This year’s second generation model is a bit more reasonable and will have a list price of $3,499. While it is certainly not unusual for technology prices to drop over time, chopping off more than two-thirds in the span of a year is a bit surprising. Now that the manufacturing process has obviously been fine-tuned a bit more, and hence production costs dropping, it shouldn’t be long before we see a lot more competitors hitting the market with their models. It has long been rumored that Apple is working on an OLED television set, but one of the biggest arguments against it ever becoming a reality was the cost of the OLED screen. If the cost to produce those screens is truly dropping, that should no longer be a hurdle. That is if the Apple television is even really in development. The LG 55EC9300 is available for pre-order right now at Best Buy and Amazon with more retailers to be added in the near future. Best Buy will be the first to physically get you the set if you’re anxious to get this curved OLED display into your home. 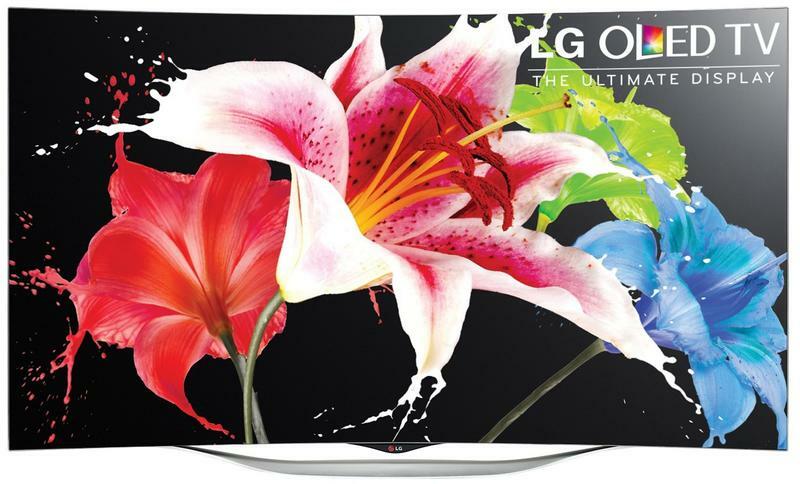 ENGLEWOOD CLIFFS, N.J. – As other TV manufacturers abandon plasma and struggle with OLED production, LG Electronics is reinforcing its leadership in this premium display technology with the official U.S. launch of its next-generation OLED TV. 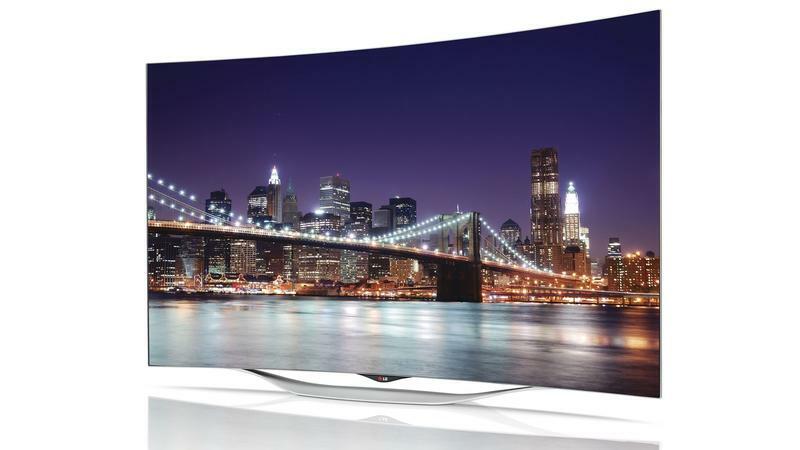 The all-new 55-inch class (54.6 inches measured diagonally) LG Curved OLED TV (Model 55EC9300), will be available beginning this month at various retailers nationwide at a suggested price of $3,499. Best Buy will be the first dealer to sell the new LG model starting on Aug. 24 and is taking pre-orders now on BestBuy.com. This marks the third OLED TV that LG has released in 13 months, further cementing its market dominance in this new display category, while also making the technology more affordable than ever before to consumers. In fact, even with new features and design enhancements, the 55EC9300 priced more than 75 percent lower than LG’s first-generation 55-inch class model, which first sold for $14,999 a year ago. Equipped with “WRGB” OLED technology, the EC9300 is designed to deliver superior picture quality with infinite contrast ratio achieving the deepest blacks imaginable and displaying colors that appear richer and brighter. OLED TV also offers fast response time and wide viewing angles. The 55EC9300 is the first OLED TV to feature the intuitive new LG Smart TV+ webOS™ connected TV platform,* which is an interface designed to offer consumers lightning-quick transitions between broadcast TV, streaming services and external devices, with speeds similar to regular channel switching. The webOS platform also includes recommendation capabilities to help consumers sift through its expansive content options, which include streaming services like Netflix, YouTube, Amazon Instant Video, Hulu Plus and more. Consumers can control everything on their Smart TV with the easy-to-use LG Magic Remote, which works with simple gestures, point and click, scroll and voice commands. The new 55-inch class LG OLED TV is amazingly thin – 4.5 millimeters at its thinnest point (11/64ths of an inch) or the depth of a few credit cards – and its gentle curved screen makes quite a design statement. Thanks to its frameless, bezel-less “Cinema Screen” design, the picture goes virtually from edge to edge. The 55EC9300’s updated design attributes include a streamlined new stand and, unlike previous curved OLED TVs, this newest model can be wall-mounted, giving customers flexibility in their choice of how to display the TV to best fit their needs. “OLED TV represents a major breakthrough in display technology. And in the wake of plasma’s decline, it’s more important than ever to bring OLED to consumers who are looking for the highest level of contrast and color performance,” said Dave Vanderwaal, head of marketing at LG Electronics USA. 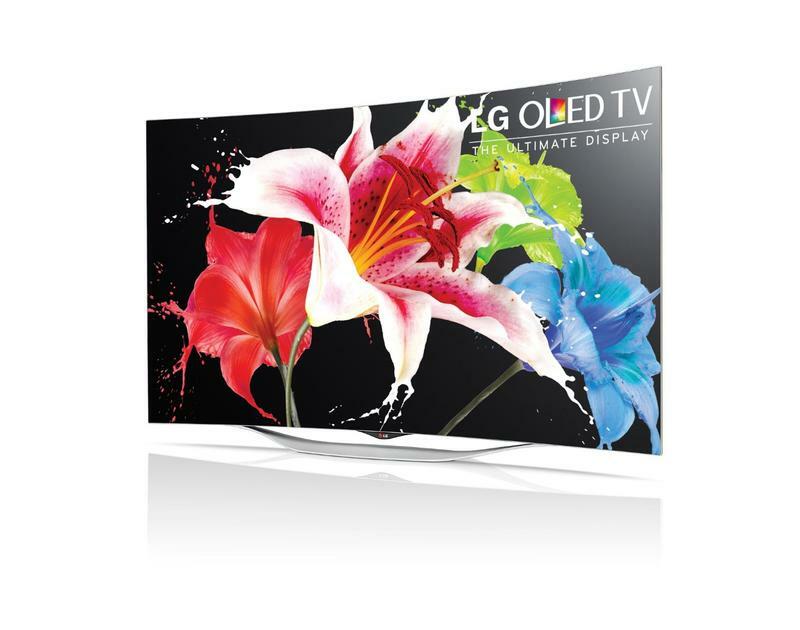 For more information about LG’s OLED TVs, please visit http://www.lg.com/us/oled-tv. *Wireless Internet connection & certain subscriptions required and sold separately. Agreement to smart TV terms and conditions required to use certain smart features. Content and services vary by product and are subject to change without notice. WebOS does not support Flash. ** The FTC’s calculations are based on 11 cents per kWh and 5 hours use per day. Your cost depends on your utility rates and use. Visit ftc.gov/energy.